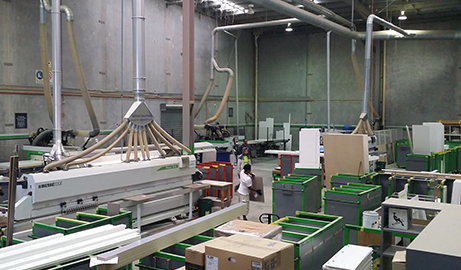 Based on Queensland’s Gold Coast, Mayneline is a leading cabinetry and joinery manufacturer specialising in multi-storey residential developments in the greater Sydney, Canberra, Melbourne and Brisbane metropolitan areas. Operating through two divisions, the Business provides turnkey joinery solutions to leading tier-one and tier-two builders / developers of premium projects ranging in size from 50 to 800+ units. The Business was purchased by interests associated with a national construction group. This acquisition presented an opportunity for strategic diversification as well as control over the supply of key inputs. It has simultaneously broadened the group’s service offering and extended its customer-base.